At the time of writing Community Fibre expects to have extended their Gigabit capable FTTH/P broadband network to around 60,000 homes in London by the end of 2018 (mostly council / social housing) and in total they’ve already contracted to build 150,000 of their 500,000 aspiration. The ISP has already secured £11.3m of private equity investment from Railpen (UK pension investors) to help support this (here) and now they’ve won another lot. In keeping with that the new round of investment (£25m total) is expected to help facilitate their roll-out of full-fibre ultrafast broadband connectivity to 100,000 homes in the city by 2019. “This investment shows full-fibre is the only way forward for ultra-fast connectivity. 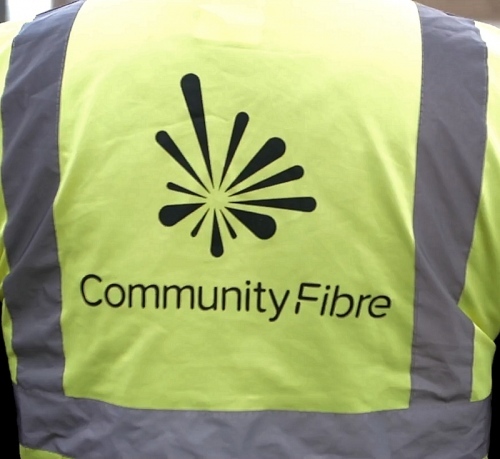 Community Fibre is the partner of choice to deliver high-quality, fast pure fibre connection, to deliver sustainable investment and to support Government policy across the UK. This funding takes us a step closer to have our full-fibre network available to social housing or private landlords in every borough in London. Crucially today also appears to represent the first major investment by the government supported Digital Infrastructure Investment Fund (DIIF), which was setup in 2016 with £400m of public money (here) in order to help support the roll-out of full fibre and 5G mobile based ultrafast broadband networks. The fund, which is focused upon assisting alternative network (AltNet) providers, is managed by two infrastructure investment firms – Amber Fund Management Ltd and M&G Investments (Prudential PLC). It’s previously been estimated that, when supported by private investment, the DIIF could be worth as much as around £1.5bn and might help to facilitate an extra 2 million premises passed via FTTH/P. At present only around 3-4% of premises in the United Kingdom can access a “full fibre” network (roughly 1 million+ premises passed), which usually reflects a Fibre-to-the-Premises (FTTH / FTTP) style service. However many more are on the way (see our summary of progress). 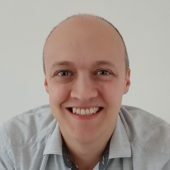 NOTE: DIIF is the umbrella term for two funds – NDIF (National Digital Infrastructure Fund), managed by Amber and DIF, managed by Infracapital/M&G. NDIF’s size is about £200m (will increase with future fund-raising), with £150m coming from government (via DIIF) and £45m from International Public Partnerships, a FTSE250 infrastructure investment company and £5m from Amber Infrastructure, respectively. NDIF is the source of today’s £18m investment. Meanwhile Community Fibre’s packages tend to start at just £20 per month for a 40Mbps service and this rises to £50 for a fully symmetric 1000Mbps connection, which includes free installation and unlimited usage (the speeds are symmetric – same speed both ways). Added a bit of extra detail above to clarify the separation between DIIF funds.